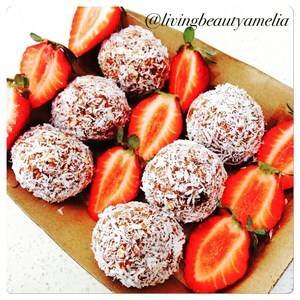 Our protein balls recipe is delicious and will beat chocolate cravings. Raw cacao has many benefits including minerals magnesium, calcium, iron, copper and potassium. At the same time you will get protein and fibre! Twice a year for the past 5 years, Living Beauty Fitness have raised funds for Childhood Cancer Association. We sell Protein Balls which will be sold at fitness and bikini competitions. 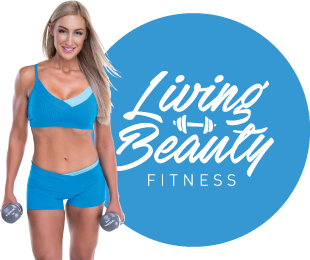 livingbeauty.com.au cares about beating childhood cancer. people like YOU – to continue to provide these vital services. The more raw, unprocessed and organic the ingredients, the better. **Use code “amelia” for 20% off when purchasing any products from The All Natural Company. 1. Combine the walnuts, almonds and seeds in a food processor and whiz until fine crumbs. Add the dates and whiz until smooth. Add the protein powder, tahini, cacao powder, cinnamon, honey and sea salt and whiz for two minutes or until the mixture starts to form into a ball. Add coconut water sparingly until desired consistency achieved. 2. Divide into golf ball-sized portions and roll into balls between lightly wet palms. Roll in coconut, and store in an airtight container in the fridge for up to two weeks.